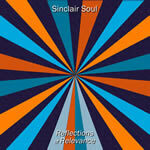 Reflections of Relevance was recorded in late 2017 at Saturation Acres Recording Studio in DuPont, PA and was co-produced by Bret Alexander and Ric Albano. 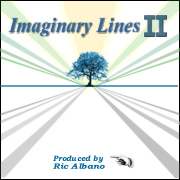 The album mixes updated versions of former Imaginary Lines songs with a few new acoustic-based compositions by Albano. The second official album by Sinclair Soul, this seven song LP was recorded by Albano and Alexander along with drummer Ron Simasek. The Journey was recorded in the Spring of 2017 at Saturation Acres Recording Studio in DuPont, PA and was co-produced by Bret Alexander and Ric Albano. The album is anchored by three new acoustic-based compositions by Albano along with four new interpretations of songs previously released on Imaginary Lines 33, the triple-length 2009 album. Despite the differing origins of these diverse songs, there are some strong elements which make this album cohesive as each song is lyrically presented as a “journey” of some kind, a unifying element which ultimately gave the album its title. The Dollars for Diane Compilation CD is made entirely of original music by Pennsylvania Artists who have graciously donated the use of their songs. Put together by Executive Producers are Karyn & Ric Albano, the album is dedicated to Diane Kovaleski (Karyn’s sister), who suffered a severe stroke during surgery in 2007 which has left her unable to walk, speak, or care for herself. Proceeds from the album benefit The Center for Brain Injury and Repair at the University of Pennsylvania as well as a scholarship fund for Diane’s young daughter, Zayda. These recordings of original songs were made at Saturation Acres and Cygnus Wave studios in 2010. The original intent was to release an album called Any Atomic Lies in late 2010, but disagreements ensued and the project was halted before publication. 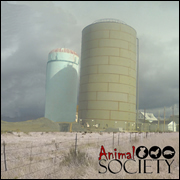 The songs mixes as they were in December 2010 were presented as an “album” called Animal Society I. 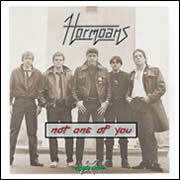 An authentic “new wave” band from the early 1980s, Hormoans offered cutting edge, original material to Central Pa. at a time when most acts where strictly cover. In December 1981, the band recorded a few dozen tracks of their original compositions along with original “translations” of some standard material. Unfortunately, the band broke up soon thereafter and these recordings remained “lost” for over a quarter century. Finally in 2008, these recordings were remastered to form the album Not One of You, co-produced by Jim Hammond & Ric Albano. The follow up to the richly-produced Imaginary Lines I, this album is deliberately made up of short and simple songs with basic arrangements – all songs completely guitar-free in this original version. Some songs originally intended for this album were incomplete by late 2007 and left off Imaginary Lines II Most songs on this album were enhanced with instrumentation for Imaginary Lines 33, along with the excluded songs. 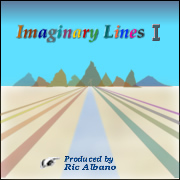 The very first release by Cygnus Wave, Imaginary Lines I is a richly produced, nine song album made up of songs composed and developed over several years. This album contains some of the most methodical and philosophical work and includes some of the best selections in the Imaginary Lines library. 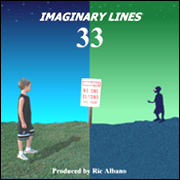 This entire album was included (nearly) verbatim on Imaginary Lines 33. The release of these semi-professional, analog recordings he made close to a quarter century ago. These recordings of original songs were all made in an attic “studio”, on a Fostex 4-track cassette recorder. There is alot of trial and error, experimentation, and development of technical proficiancy along the way. Much of this material is raw and not for the faint-hearted, amateur listener, but there is an underlining quality which shines through on many tracks.